Create an amazing advertising campaign with this 20 oz. 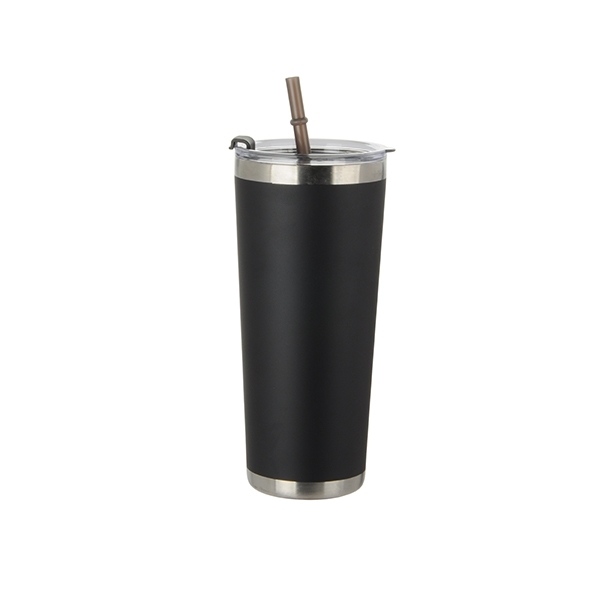 stainless steel tumbler with straw! Measuring 7 1/2" H x 3 1/2" diameter, this trendy tumbler features stainless steel bands on the top and bottom and a plastic reusable straw that matches the tumbler. Simply add your company's name, logo or advertising message before handing it out at tradeshows, expos, conventions and any other promotional opportunities to spread the word about your services and extend your brand's reach!